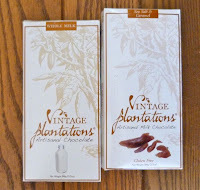 Today I sampled two milk chocolate bars from Vintage Plantations Chocolates (Newark, NJ), made from "Antigua Nacional" cacao beans from Ecuador. The Whole Milk bar was smooth, with a focus that was as much on the milk as on the cacao. 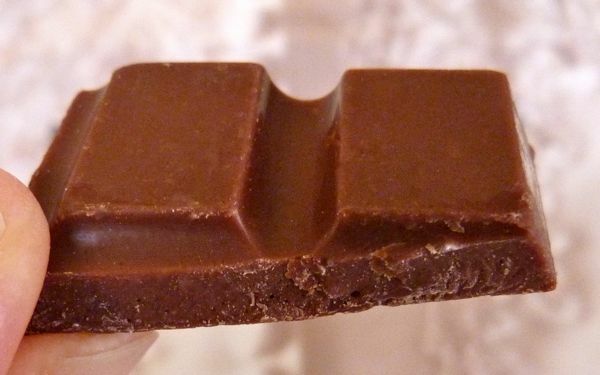 I detected no discernible cacao flavor notes, except for one very vague floral note in one bite; however, there were no objectionable notes either. The Sea Salt and Caramel milk bar was, happily, gluten free. It contained a few small taste sparkles of salt, and bits of sweet caramel, with very faint notes of cinnamon. (The sea salt and caramel bar was made with raw sugar and contained no soy lecithin.) This second Vintage Plantations bar also had a bit of a mouth melt delay, but not nearly as much as the company's Whole Milk bar. Today was Day #1 of Chocolate and Caramel and Toffee Theme Week. - 3.) Use milk fat -- it gives an instant mouth feel of melting in your mouth because it is: butter. One of the interesting properties of butter is that it also prevents blooming; 2 to 4% butter fat in the chocolate will prevent blooming. 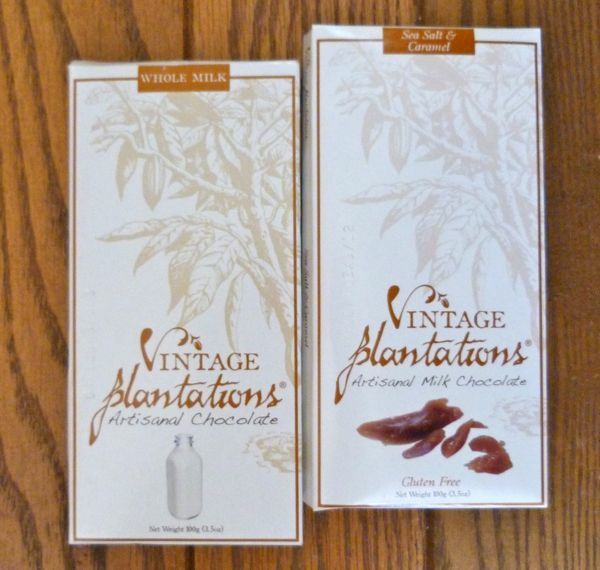 (Vintage Plantations) are strictly cocoa liquor, whole milk: a lot thicker, with more casein than milk serum, and sugar and vanilla. We conch for a minimum of 72 hours. We get the velvety effect on the third day of conching. We can afford to do this because we completely re-thought the process and bought machines accordingly. 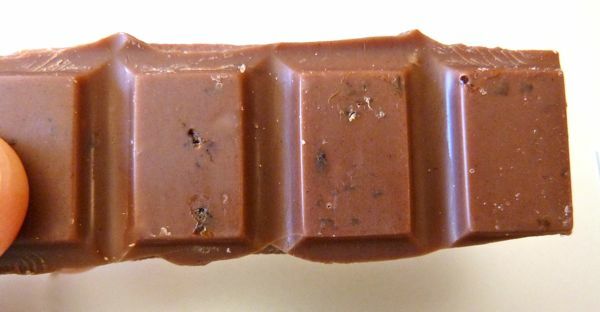 ...I hope it will shed lights on why we call our chocolate "vintage". ..before the advent of biochemistry and molecule engineering tricking your palate.